View the Olivet Nazarene University flyer here to see what special discount they have to offer! In need of a hotel room? Click here for more information on how to get the IAHHC discount. ​Click here for your Jiffy Lube $10 off Signature Service Oil Change + Free Safety Check Coupon. 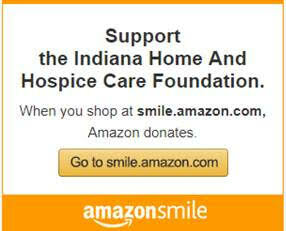 Set your charity on Amazon to the Indiana Home and Hospice Care Foundation. Every time you make a purchase at Amazon, you can help benefit our Foundation. ​Click here for more information!